As the outside temperature increases, people begin working around their house on maintenance and building projects. So do you need a building permit? Yes for sheds, carports, fences, decks, ramps, swimming pools over 2 feet deep, finishing a basement or attic, demolitions, and roofing replacement. Projects involving structural changes such as the addition or removal of a wall or reconfiguring windows require a building permit. This is a fillable pdf of Harrington’s Building Permit Application. No for accessory structures (tool sheds, playhouse, etc.) under 120 square feet, retaining walls under 4 feet high, painting, tiling, cabinets, carpeting, above ground swimming pools under 2 feet deep, swings and playground equipment, and window awnings under 54 inches supported only by the exterior wall. Plumbing and electrical work does not require a City of Harrington building permit but may require a permit from the State of Delaware. Plumbing permits are handled through Delaware Health and Social Services, contact Lawson Losh at lawson.losh@delaware.gov or 302-741-8600. For electrical inspections, see the State Fire Marshal’s list of electrical inspection agencies. Call Miss Utility before you dig! This free service contacts utility companies to have underground lines on your property marked. Don’t risk the cost, inconvenience, or possible injury from hitting a utility line, call 8-1-1 two days before you dig. Contractor licenses are required for anyone hired to perform any construction or maintenance work. If you are doing the work to your own home, you do not need a contractor license. 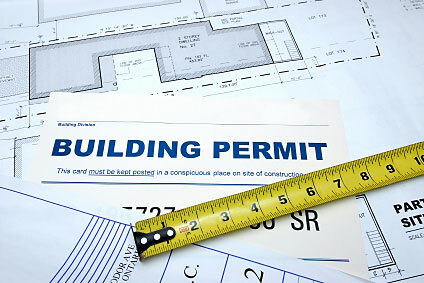 Still not sure if your project requires a building permit? Call Code Enforcement Officer John Long at 398-4428.